This year delegates have the opportunity to visit two local sites on Thursday 15th November. 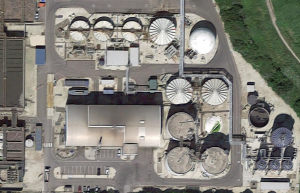 Pyewipe Water Recycling Centre (Grimsby, North Lincolnshire), was commissioned in 2014 and hosts one of four examples of Anglian Water’s patented HPH-AD process (Heating, Pasteurisation, Hydrolysis). The HPH-AD process is industry-leading, with energy production exceeding 1MW/tds – and provides a final product (NutriBio) – that is valued by farmers for its soil-conditioning properties and nutrient content. 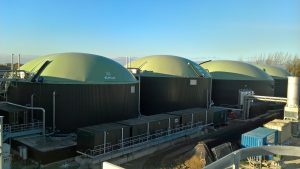 With a throughput exceeding 16,000 tonnes of dry solids per year, 2 x 1.2 MW combined heat & power engines, and Anglian Water’s novel dual cake & liquid reception system – Pyewipe is key part of Anglian Water’s Bioresources Strategy for Lincolnshire. A coach will collect participants from Leeds around 9am of Thursday 15th November. Lunch will be provided and there will be a return coach to Leeds for late afternoon – ETA 5pm. The site visits are only available to conference delegates. Places are limited and always very popular so you are advised to book as soon as possible.